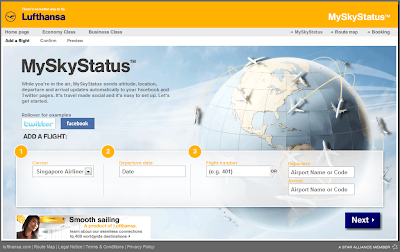 Lufthansa MySkyStatus allows you to automatically post the current position of your flight to Twitter or Facebook so your friends can follow your travels. Its a fun way for your friends to keep tabs on you while you’re globe-trotting. Surely works for me.